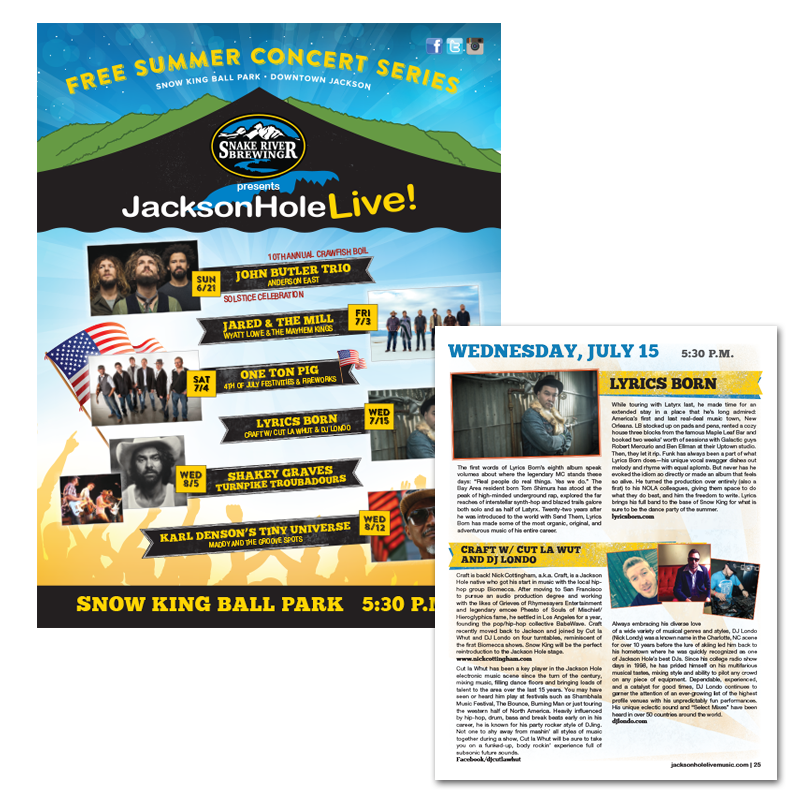 Jackson Hole Live is a free concert series located in downtown Jackson at the Snow King ball field. 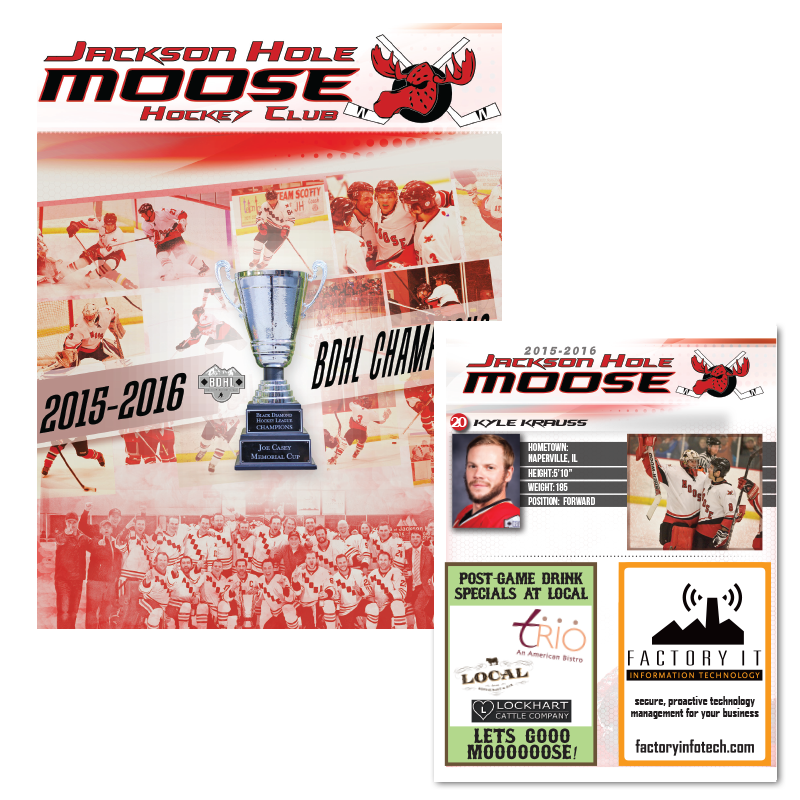 For the Jackson Hole Moose I have been creating the game programs for over 10 years. 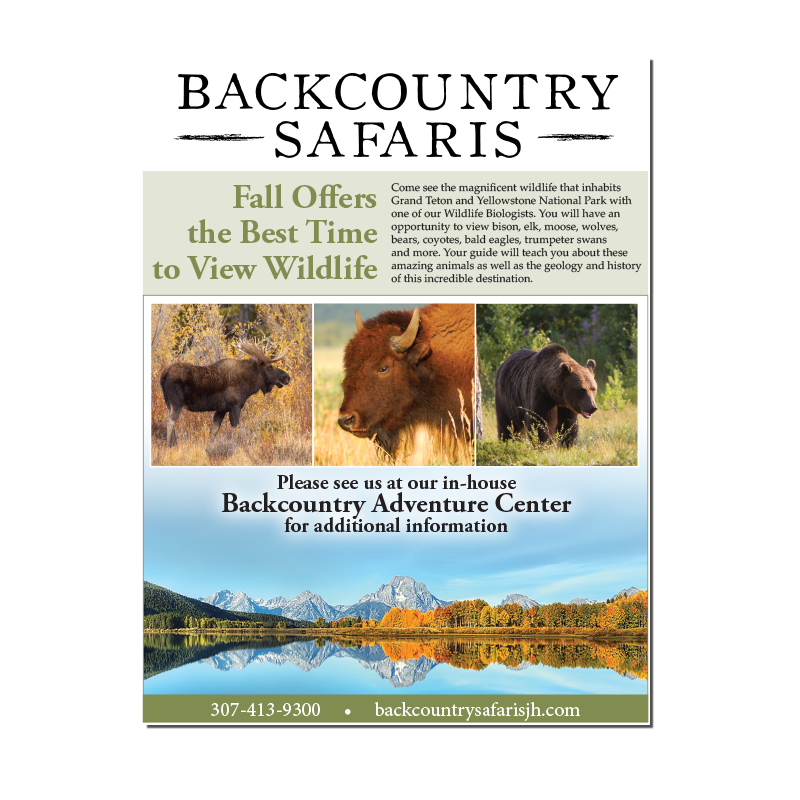 I provide the advertising design as well as the majority of the boards and posters at the Snow King Arena skating rink. 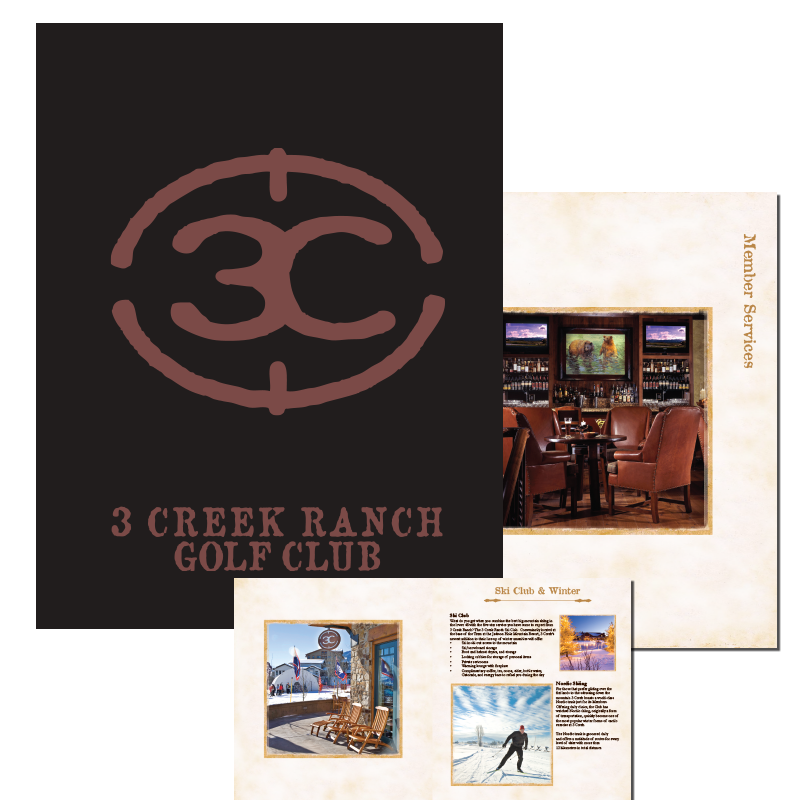 Marketing collateral for 3 Creek Ranch Golf Club for new and prospective members. 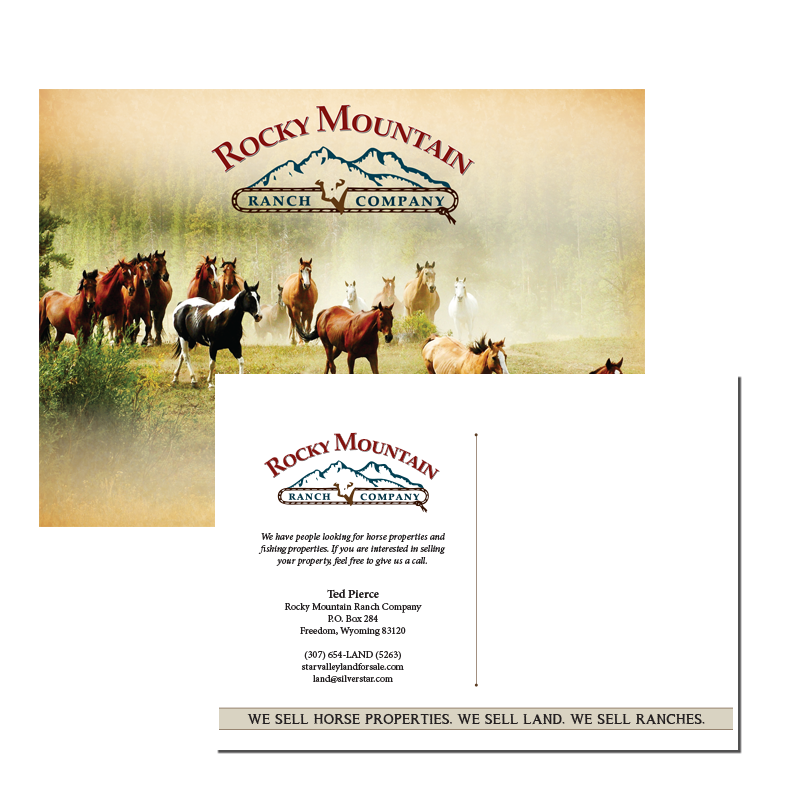 Promotional postcard for Rocky Mountain Ranch Company. 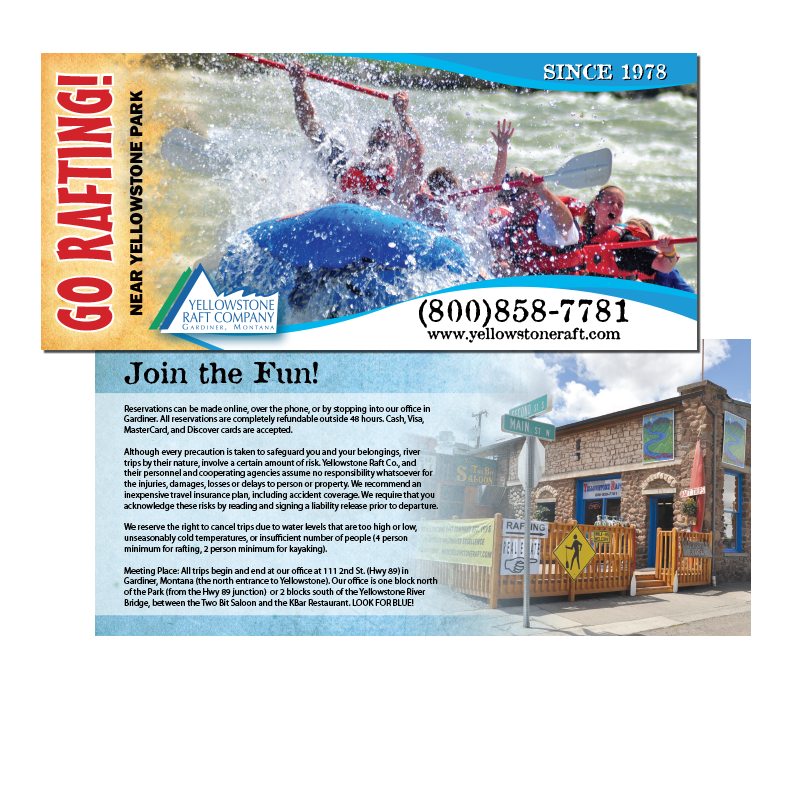 Tri fold brochure for rafting company in Gardiner Montana. 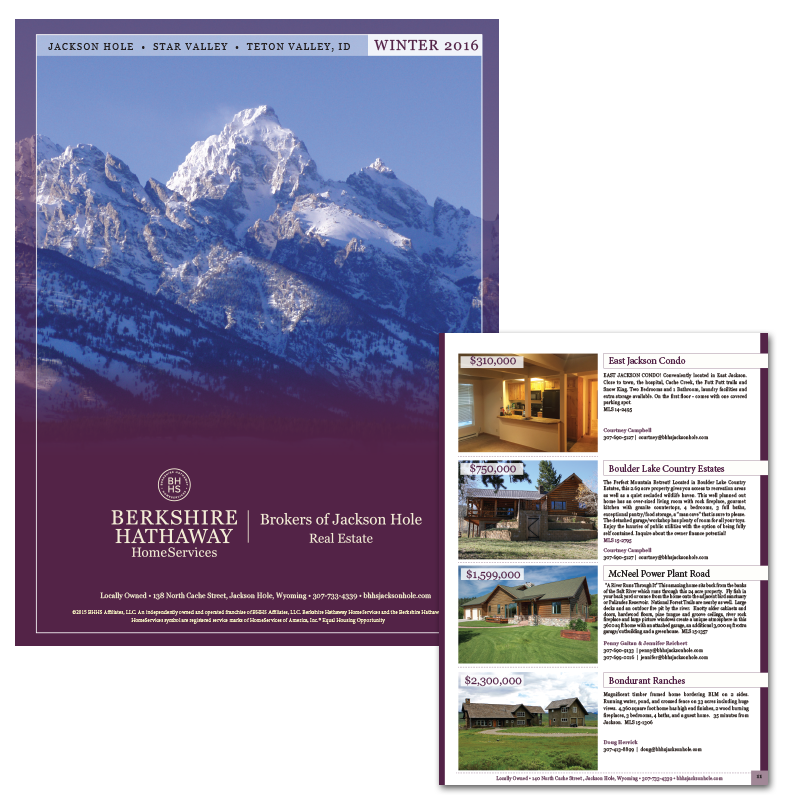 Heavily distributed 52 page guide to Jackson Hole. 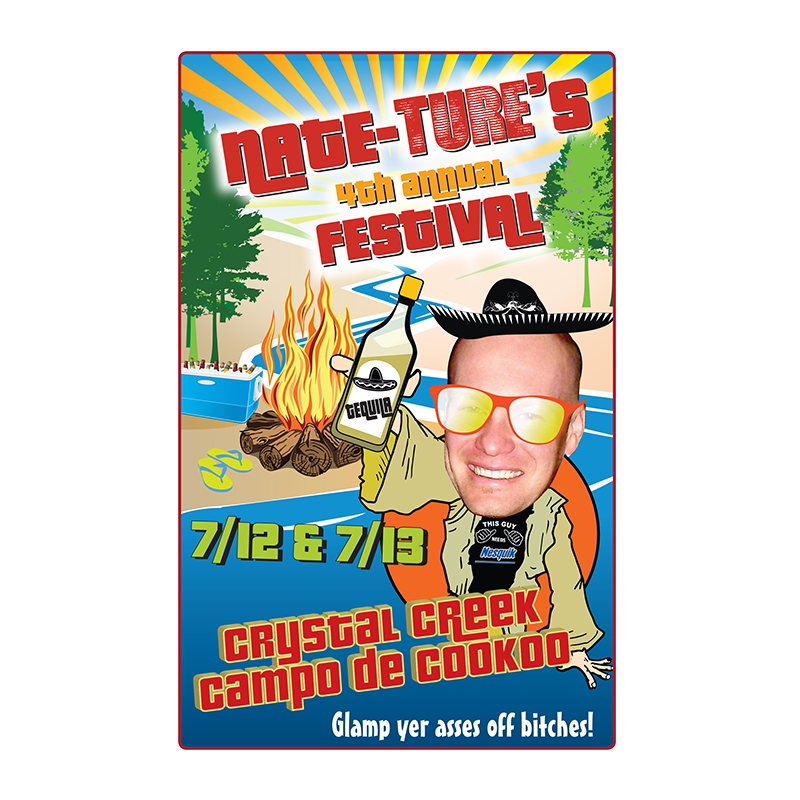 Promo poster for a 40th birthday party. 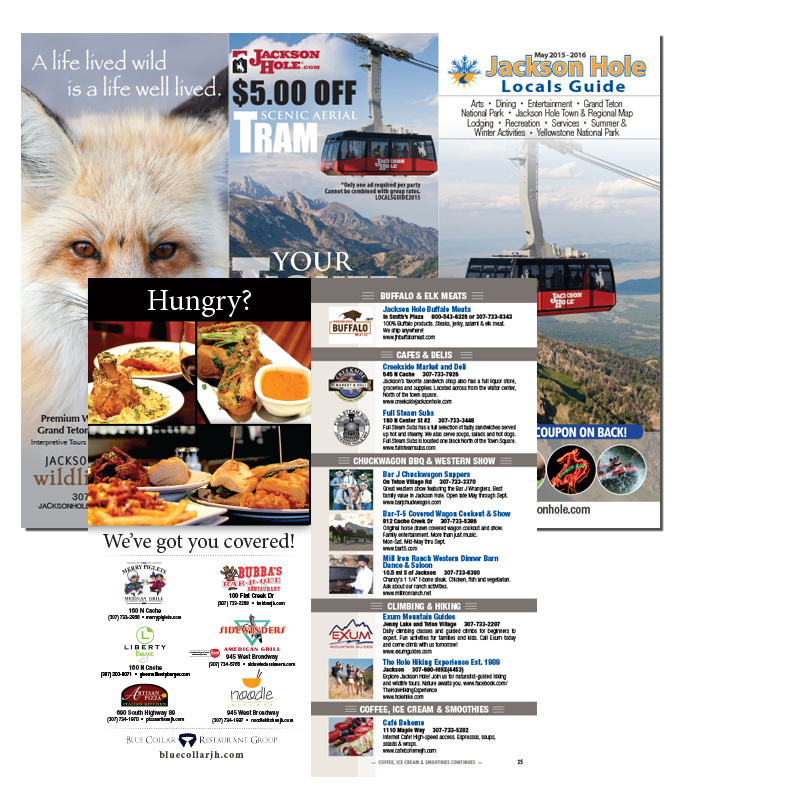 Fun piece to work on.